About a year ago, we started to think about their own popelnících. Now we are happy to share with you the joy of the final product, you could already see in several of our reviews. 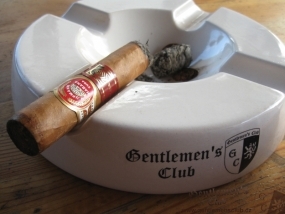 Like to share with you about it, How does such a ashtray for cigars actually produced. Whereas, that all the editors move in completely different fields, It was a novelty for us and, above all, the search firm specializing in complex production cast ceramics (willing to implement such a small order.) It was a big problem in the Czech Republic. 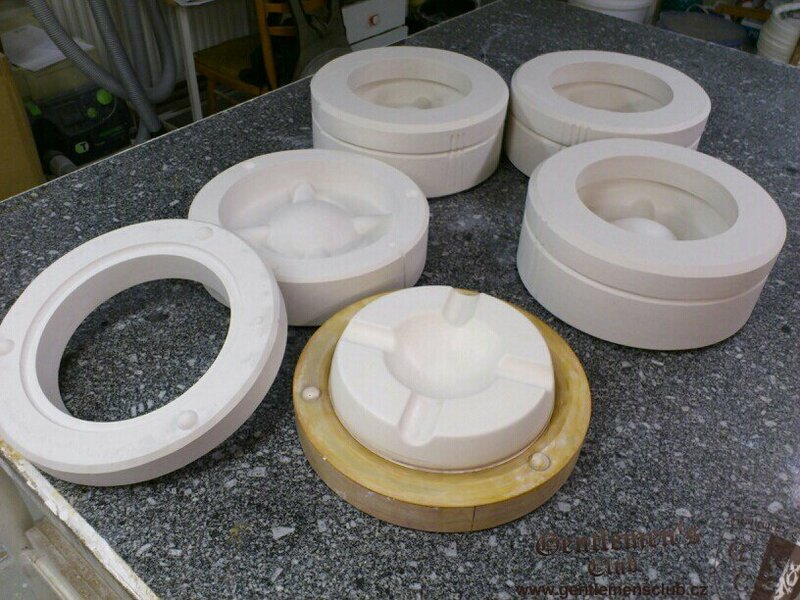 First, it is necessary to make a suggestion, your own idea, the ceramist converts into graphical form. After the reconciliation of creation comes cast model. The Model is almost 1:1 to the final product, You then even smaller, When the burning smrskávají the influence of heat. It also depends on the material, from which the ashtrays odléváte. Our stoneware and are therefore diminished less than if they were e.g.. from porcelain. 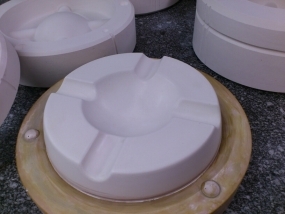 From the model and then make a mold, the more forms of, the faster then goes from the hand casting. Coming to the first burning after which our first ceramist unfortunately missed out on the furnace and thus followed the search for the next. We are located in the Centre of Prague and its behaviour is also a very decent and has no problem-order finish, This solidarity we very. When the second burning, that was due to the application of glazes, We find, that would be the need for ashtrays pillow ceramic washers. Without them, unfortunately, is a fine crack on the bottom edge of the – When laying on the table completely unnoticeable. The PADS will get and burn the rest of ashtrays is already without problems. The third burn is short and there is no need to use pads, carried out, due to the addition of white enamel on logo Gentlemens Club. When pricing is an important number of pieces – In addition to the material, washers, the cost of the furnace, work and the machine must be calculated and the forms and model. Quite logically, then here is the more products – the lower the price, because the value of the model and the forms of rozpočte. Whereas, the first edition of the ashtrays were considerably limited, the price of one piece was published on 400 CZK. Which is, according to the US while higher, but when the menu of the Czech market fully proportional to the price. Thank you for the compliments, Please. ahoj, budou zase nějaké popelníky? Ahoj, celá produkce už byla bohužel vyprodána vyjma posledního kusu. je možné ještě objednat popelník nebo už nebude nikdy k dostání?